Mr. Brian Yokoyama, the lecturer is third from the right, front row. 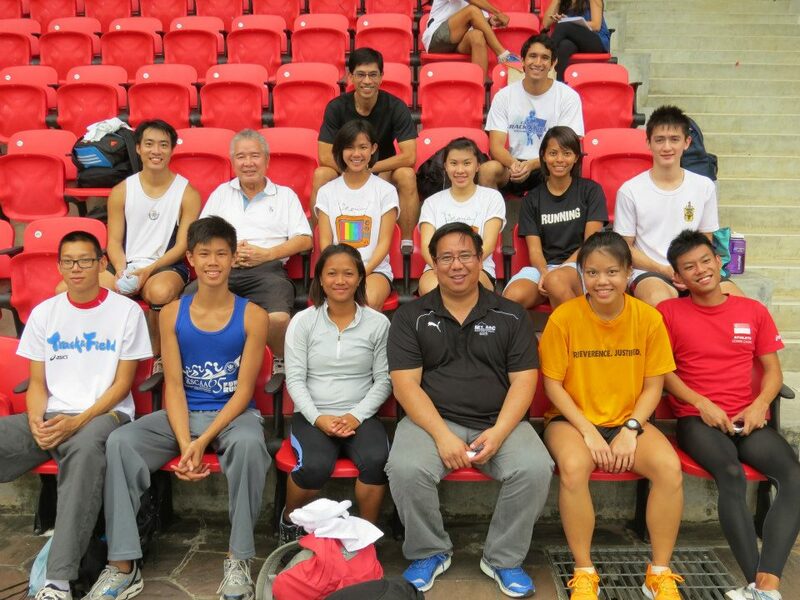 Singapore Athletic Association held its first pole vault workshop which was held last week from the 5th to 7th November. The workshop had a good turnout as a total 25 participants attended the event, of which we even had three Pinoy athletes who flew down from the Philippines for the 3 day workshop session. The session conducted by Mr. Brian Yokoyama who is currently the national chairperson/ coach of the United State of America (USA) Track and Field High Performance/Development Men’s and Women’s Pole Vault, proved to be insightful as the participants learned the latest pole vault techniques and teaching methodologies. The workshop allowed our pole vaulters to learn how to efficiently jump higher heights. The emphasized on five commonalities among top vaulters (5.80M+ Men, 4.80M+ Women) which included pole vault specific running mechanics, pole drop timing, penultimate step, plant and bar clearance. View the photo gallery here.